Sandra “Sandy” Kokesch, age 62, of Winthrop passed away Wednesday, November 28, 2018, surrounded by her loving family at her home in rural Winthrop. Memorial Service will be Monday, December 3, 2018, 11:00 A.M. at Peace Lutheran Church in Winthrop with interment in Hauges Cemetery, Camp Township, Renville County, Minnesota. Gathering of Family and Friends will be Sunday, December 2, 2018, from 5:00 P.M.-8:00 P.M. at Peace Lutheran Church in Winthrop and will continue one hour prior to the service at the church on Monday. Sandra “Sandy” Kokesch was born on September 27, 1956, in Sleepy Eye, Minnesota. She was the daughter of Orlo and Eldora (Kirkeby) Hagevold. Sandy was baptized as an infant at Central Lutheran Church, rural Fairfax, and was later confirmed in her faith as a youth. She received her education in Fairfax and was a graduate of the Fairfax High School Class of 1974. On December 1, 1979, Sandy was united in marriage to Randy Kokesch at Central Lutheran Church in rural Fairfax. After their marriage, the couple resided in Stewart and in 2005 they moved to Severance Township, rural Winthrop, Minnesota. She was a loving mother, homemaker, and helped on the farm. 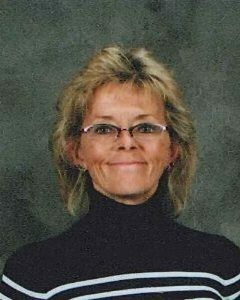 Sandy was a member of Peace Lutheran Church in Winthrop. Sandy enjoyed shopping, traveling, especially with the kids to Disney in Florida and many trips to Hawaii, the best ever was dinner at the Top of the World on New Year’s Eve, gardening, entertaining, and making big meals. She loved Christmas and decorating and was a very giving person. Her favorite candy was banana runts. She loved lying on the beach in Maui, drinking lava flows. Sandy passed away on Wednesday, November 28, 2018, surrounded by her loving family at her home in rural Winthrop at the age of 62 years. Blessed be her memory. Sandy was preceded in death by her Parents, Orlo and Eldora Hagevold; Sister, Shirley Hagevold; Brother, “Scoop” Hagevold; Father-In-Law, Vernus Kokesch; and Brothers-In-Law, Mike and Greg Kokesch, and Al Garding. Randy and family, my deepest sympathy. Sorry to hear about Sandy. It has been many years since I have seen her. I remember her parents and Shirley and Scoop. Wish the family my condolences. All of you are in my prayers. Tara and family, our thoughts and prayers are with you. My thoughts and prayers are for you and your family. Sandy was a classmate of mine in Fairfax. I also was friends with Shirley. We used to have some good times in home ecomonics sewing!! Ha Ha..
Randy, Tara, Wade, Sorry to hear about Sandy. You have my deepest sympathies.